Beautifully remodeled home on a large lot! Set off the road, this home is one you must go in to appreciate it's ample space! With new windows and flooring throughout, it hosts a large living room with vaulted ceilings, bright kitchen with plenty of cupboard space and SS appliances. The dining room is situated between the kitchen and living room with a built-in cupboard. Three bedrooms and a full bath make up the first floor. There are two entrances to the basement, which is 1,000+ square feet of finished space with a wood stove, large rooms, full bath and has endless possibilities! 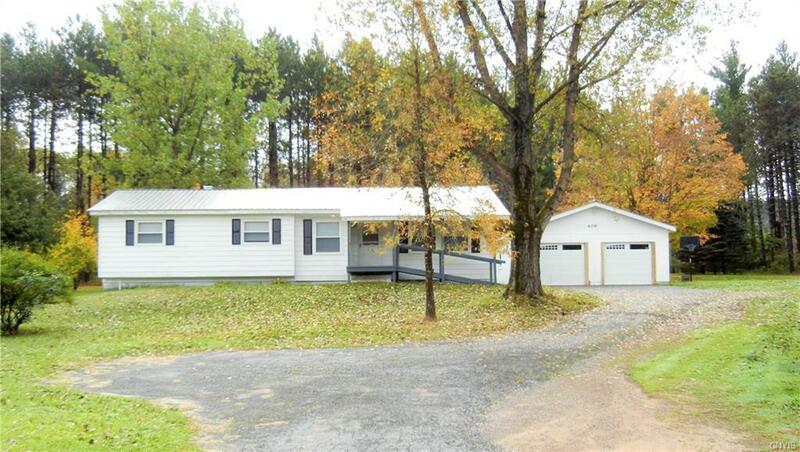 Don't miss your chance to see this home close to Harrisville School and snowmobile trails! Directions To Property: Heading North On Route 3 Towards Harrisville, House Will Be On The Right.